Cast of durable urethane resin from a real crow skull. Looks just like the real thing. These are hand made, lightly sanded, and painted to get an aged finish look. Due to the nature of handmade work, there might be a slight variation with each item. 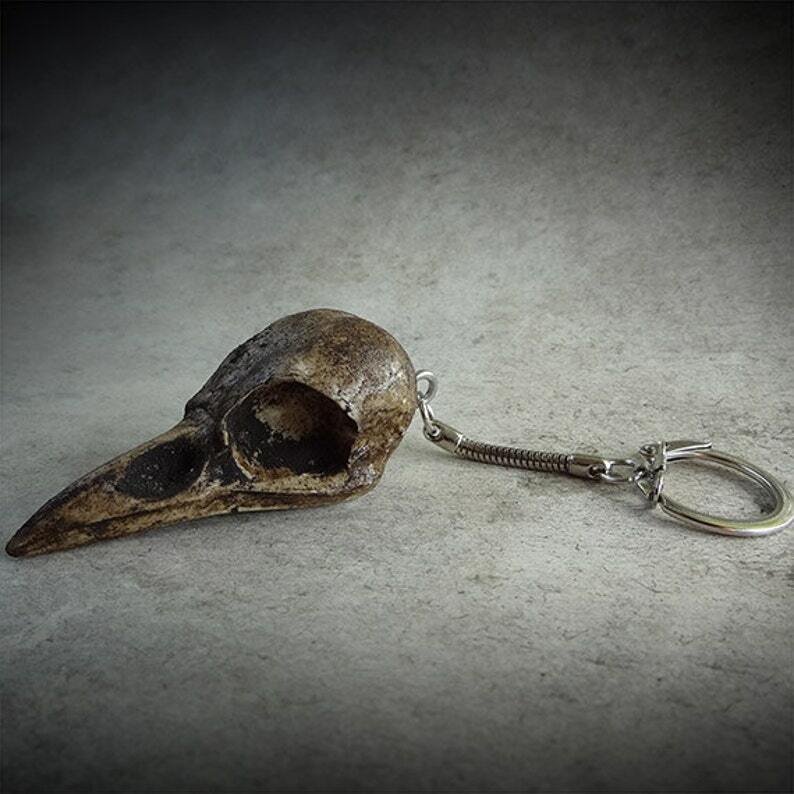 A sturdy stainless steel eye screw has been drilled into the top of the skull and attached to the keychain hardware. The skull replica measures approximately 2.5" long. Total length (skull + keychain hardware) is 5.25". I wanted to wait a couple of months before I posted a review to make sure that it was durable enough to serve as a keychain. It’s perfect size for a keychain, not too big to have in your pocket. It looks cool and the detail and coloring is amazing. I’m rough on keys and this has held up perfectly. No chips, no scratches. The material its made of holds the detail well without being fragile. super duper realistic! a great piece.